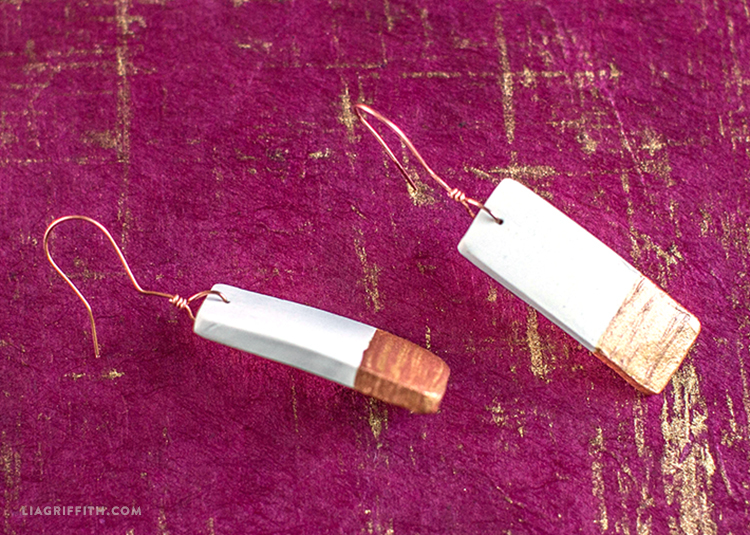 One of the most basic techniques that you will learn when making DIY jewelry is how to wrap wire. 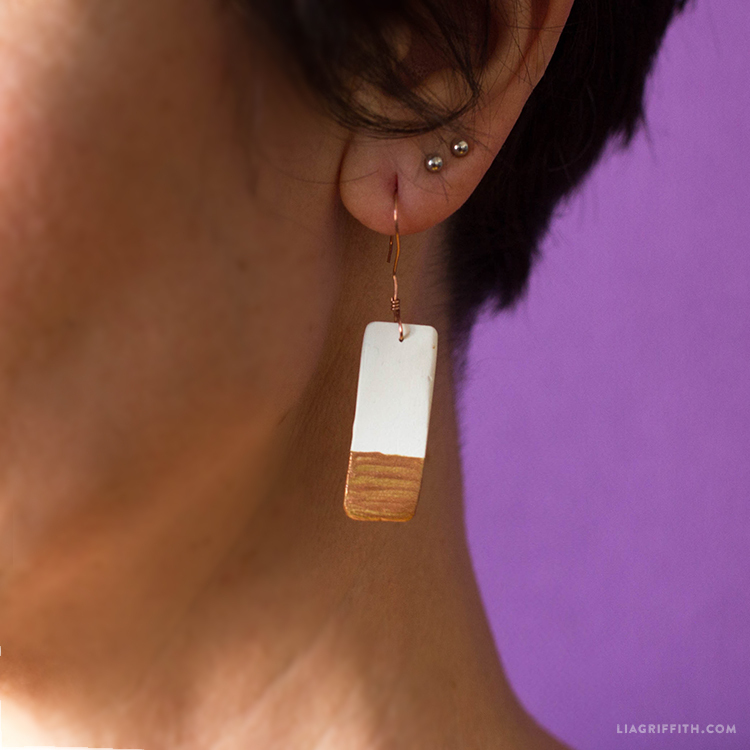 Wire is the base for tons of different earring and necklace designs, so we created this simple painted ceramic earrings project to help you practice wire wrapping jewelry. 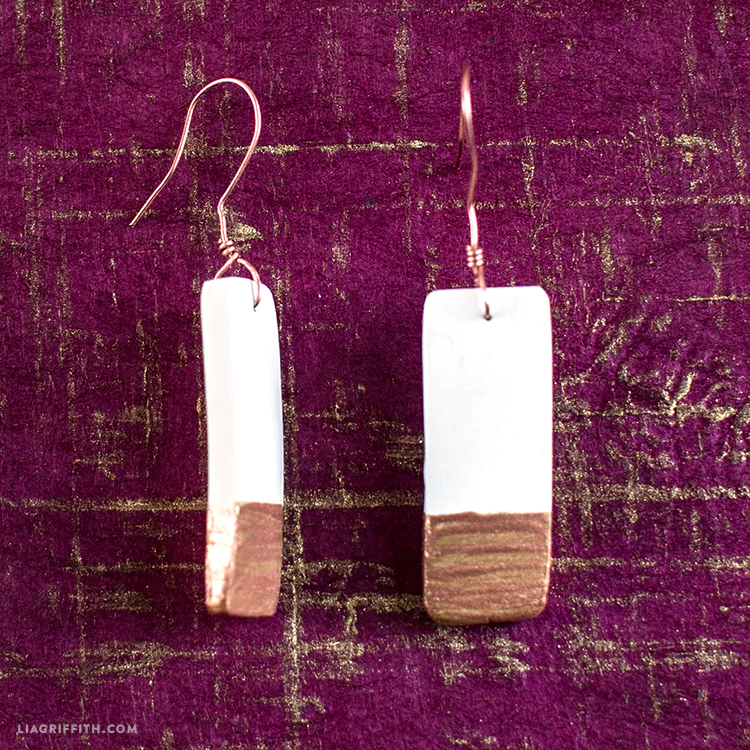 Start by watching the wire wrapping tutorial in the video below, then follow along with the photo tutorial to make yourself some gorgeous earrings in any custom color palette! Break off a quarter of the sculpey and knead it into a ball to soften it up. Fold the parchment paper over the sculpey and use the rolling pin to flatten it out to about 1/16th of an inch thickness. Leave the parchment paper in place and cut two .5 x 1.25″ rectangles with the x-acto knife, then remove any excess clay and parchment paper. Stab a hole in the top middle of the earrings using the wire, then bake the earrings following the sculpey baking instructions. Let the earrings cool, then paint the earrings as you wish. We painted them with gold paint and then layered copper paint over it. Following the wire wrap video tutorial, thread a 2″ piece of wire through the hole, form a small loop and then begin the wire wrap just above the earring. Bend the wire back about 45 degrees just above the wire wrap. Using the handle of the pliers, wrap the wire around it to form a hook. Bend the end of the wires up just slightly, then adjust so the earrings hang straight. 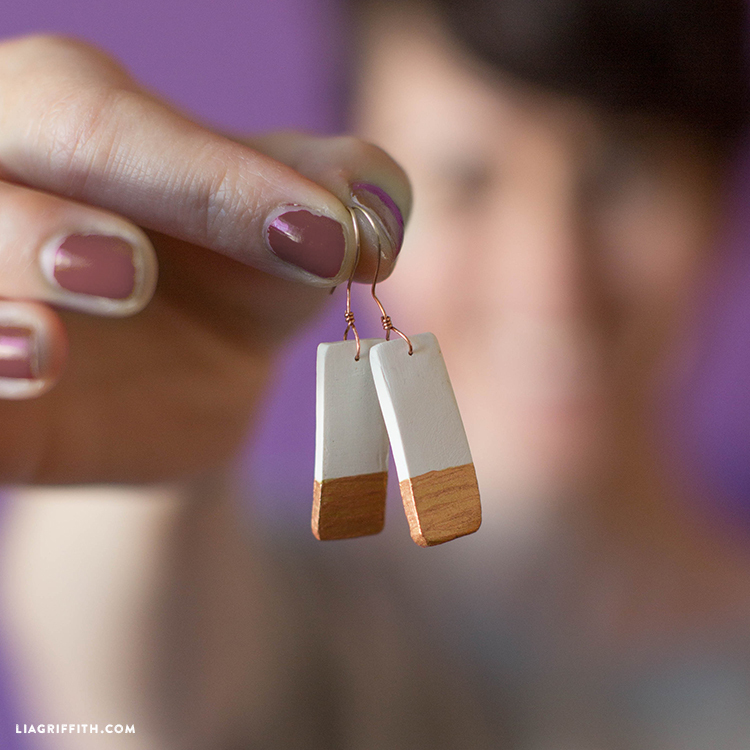 Follow the photo tutorial below for a visual guide as you craft these painted ceramic earrings!